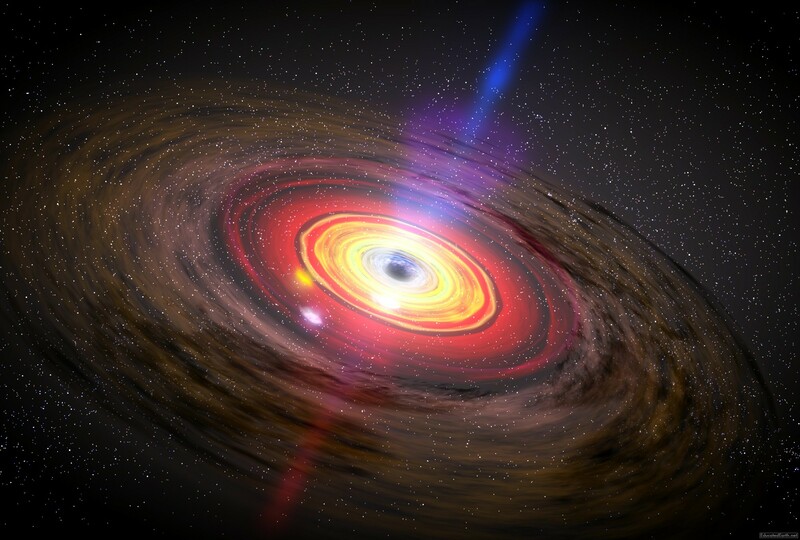 NASA, ESA – A supermassive Black Hole with an unexpected behavior has been discovered by the team of astronomers using the data samples taken from several NASA and European Space Agency (ESA) space observatories. The supermassive black hole is at the heart of the galaxy NGC 5548, located 244.6 million light-years from Earth. This behavior may provide new insights into how supermassive black holes interact with their host galaxies. Immediately after NASA’s Hubble Space Telescope observed NGC 5548 in June 2013, this international research team discovered unexpected features in the data. They detected a stream of gas flowing rapidly outward from the galaxy’s supermassive black hole, blocking 90 percent of its emitted X-rays. The discovery was made during an intensive observing campaign that also included data from NASA’s Swift spacecraft, Nuclear Spectroscopic Telescope Array (NuSTAR) and Chandra X-ray Observatory, as well as ESA’s X-ray Multi-Mirror Mission (XMM-Newton) and Integral gamma-ray observatory (INTEGRAL). After combining and analyzing data from all six sources, the team was able to put together the pieces of the puzzle. Supermassive black holes in the nuclei of active galaxies, such as NGC 5548, expel large amounts of matter through powerful winds of ionized gas. For instance, the persistent wind of NGC 5548 reaches velocities exceeding 621 miles (approximately 1,000 kilometers) a second. But now a new wind has arisen, much stronger and faster than the persistent wind. This behavior may provide new insights into how supermassive black holes interact with their host galaxies. Source: Nasa. I believe the term “leaking out of supermassive black hole” is misleading. The interaction of the black hole with its local environment has generated x-rays that are heating nearby gas clouds. It appears the x-rays have quickly reduced in intensity (likely due to a reduction in available inward-spiraling material), leading to a drop in the temperature of those nearby x-ray irradiated clouds. Most or all of this activity is taking place within the “nucleus” of the galaxy. The black hole is at the centre of that nucleus. Virtually nothing “leaks” out of the black hole itself, except perhaps some energy through gravitational interaction, and maybe processes we can’t measure yet. yes, but what did kim kardashian wear today?